SAA Signature Member Sandra Blair has launched a fundraising campaign on Kickstarter.com to finance a painting project called “Seeking Refuge: Four Seasons on Assateague Island.” With the support of this funding, she’ll create a series of approximately 20 small but very detailed paintings depicting the wildlife on Assateague Island during each of the four seasons. Assateague Island, a tiny barrier island on the Atlantic Coast of Maryland and Virginia, is home to Assateague Island National Seashore and Chincoteague National Wildlife Refuge. The United Nations has designated Assateague as a World Biosphere Reserve and the U.S. Department of the Interior has designated it a National Natural Landmark. Its pristine beaches, maritime forests, and salt and freshwater marshes are fragile but vital habitats for a spectacular variety of birds, plants and animals. 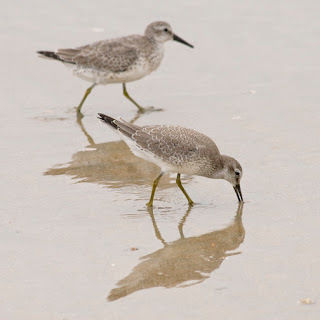 Because of its key position on the Atlantic Flyway, songbirds, shorebirds and raptors migrate through the refuge in spring and fall; herons, egrets, ducks, osprey and the threatened piping plover nest on the refuge; and winter brings thousands of Brandt and Snow Geese and numerous species of ducks. 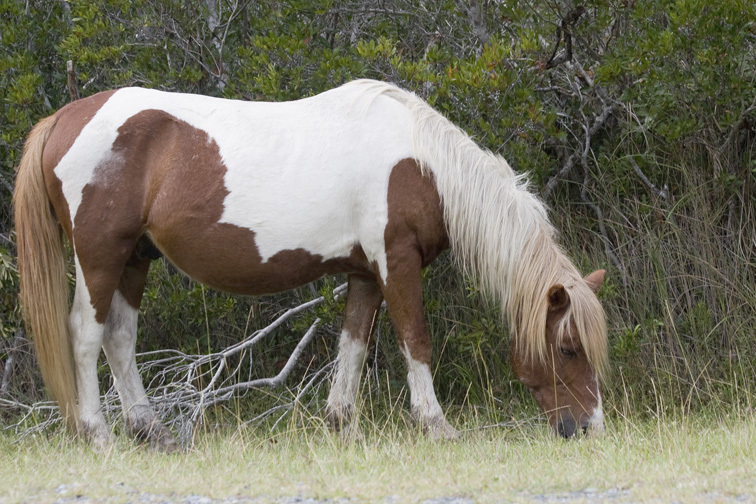 Animals that live on the island include endangered Delmarva fox squirrels, Sika elk, whitetail deer, red fox, river otters and the famous Chincoteague ponies. As a wildlife artist, Sandra feels that her role is to reveal the unique beauty, power and grace of each creature that shares our world. Her goal is to inspire a new level of respect for every living creature and the recognition of how intricately the health and well-being of the natural world are woven into the fabric of our own survival. Until we truly see, we cannot fully understand the devastation that is occurring through loss of habitat and vanishing species. Seeing fosters thinking; thinking fosters action. With the support of this funding, Sandra will create a series of approximately 20 small but very detailed paintings depicting the wildlife on Assateague Island during each of the four seasons. 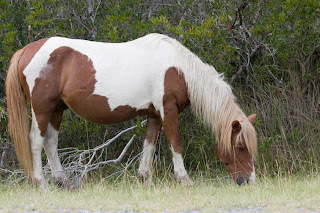 She will make numerous trips to Assateague beginning in the winter of 2011 and continuing through fall 2012 to photograph and sketch the wildlife for reference material and hopes to have an exhibition of the paintings in 2013. Your contribution will finance travel expenses; art supplies and custom frames; creation of the various rewards for the contributors; a book of her paintings and photographs from Assateague Island; and the Kickstarter/Amazon fees. Kickstarter projects are all-or-nothing funding so Sandra will only receive your pledges if the total project goal is met by November 11, 2011. Please visit www.kickstarter.com/projects/sandrablair/seeking-refuge-four-seasons-on-assateague-island to read the proposal and see the video and rewards. Any pledge you can make, no matter how small, will be greatly appreciated.